"In the unlikely event we survive this...I'm finished. Staying with you requires a degree of stupidity of which I no longer feel capable." Gan's limiter malfunctions and he turns on his fellow crew members, attempting to kill them. The other take him down and then restrain him in the medical bay whilst they try to find some way to help him. Their only option is to travel to a neutral research station called XK-72 and find someone there who could repair Gan's limiter. Getting there involves crossing the Forbidden Zone, an area of space considered incredibly dangerous. Zen refuses to travel through the Zone and the crew are forced to fly manually, just managing to avoid gravitational vortex along the way. At the same time, Gan breaks free and has to be subdued once more. On arrival at the space station, Avon announces that he will leave the ship and goes over to the station to look around. Meanwhile top neurosurgeon, Professor Kayn and his assistant Renor are teleported to the Liberator. Kayn is not convinced by Blake's story that the Liberator is a prototype Federation ship and, when he realises that Gan has a limiter, he works out who Blake and his crew really are. He alerts the nearest Federation ships who begin to head for the Liberator. Avon is seriously considering staying on the space station but once he realises that Kayn has alerted the Federation, he goes back to the ship to warn them. Vila also doesn't trust Kayn and finds that he has delayed operating on Gan in order to give the Federation ships time to get there. Vila and Avon force Kayn to operate on Gan and then send him and Renor back to the space station. The Liberator is then confronted by three Federation pursuit ships. A stray shot from one of the ships hits the space station and destroys it completely. The Liberator makes good its escape with Gan restored to full health. 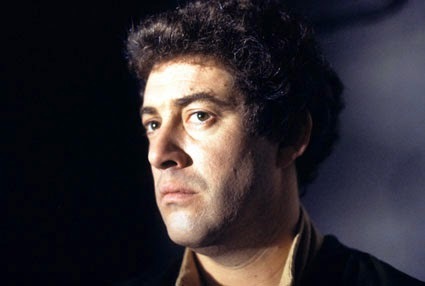 Blake: Admits that he doesn't know how he can help Gan. 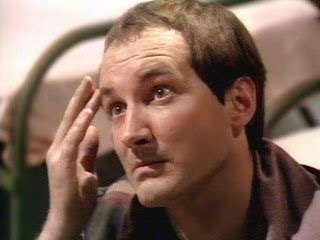 When he suggests that they could perform neurosurgery on Gan themselves, Avon points out that there is no surer way of killing him. 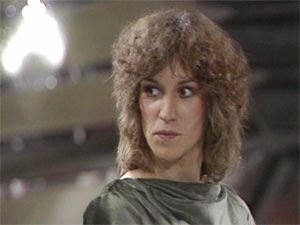 Avon: Tells Blake that he wants to leave the crew once they reach Space Station XK-72. He's been aware of the station's existence for some time and had intended to go there should he ever decide to leave the ship. However, despite being given assurances that he can remain on the station, free from the Federation, he opts to return to the Liberator and warn the others that Kayn has alerted the Federation to their presence. With the destruction of the space station, Avon is left with little alternative but to stay with the Liberator: "Say goodbye to one bolt hole." Jenna: Has apparently taught Gan to pilot the ship. She's the first person he attacks when his limiter breaks down. Later on, under orders from Blake, she flirts with Professor Kayn's assistant, Reanor, in order to try and find out more about Kayn. Presumably it doesn't work as there's no indication that she learns anything. Vila: Throughout the series Vila seems to have been most friendly with Gan so, when Gan's health is at risk, it's Vila who shows most concern. Despite his misgivings about going into the forbidden area of space, he quickly relents when he's reminded that it needs to be done to help Gan. Vila has a distrust of so-called 'geniuses' - which might explain his issues with Avon - and forces Kayn at gunpoint to operate on Gan. 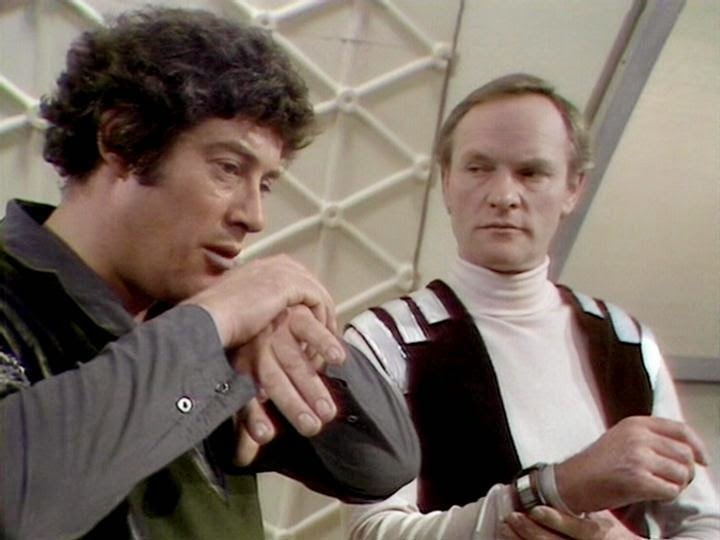 Gan: According to Blake, Gan's limiter is supposed to cut in when stress drives him to the point where he might kill. The limiter has been causing Gan problems for a while (he was concerned that it might be malfunctioning in 'Duel' and, in 'Project Avalon' was taking what looked to be pain pills) but he'd been trying to keep it hidden from the others. It looks like the stress of trying to pilot the ship alone finally caused the limiter to fail completely. In intense pain, he turns on his crew mates and tries to kill them. Whilst the pain caused by the malfunctioning limiter would explain why he lashed out blindly at his friends, it doesn't seem to tell the whole story. 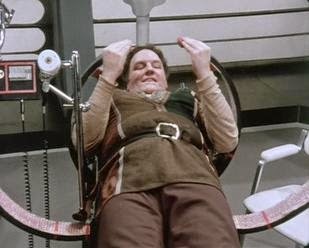 Later in the episode, Gan is restrained in the medical bay. He doesn't appear to be any pain and he manages to persuade Cally that he's fine and gets her to release him from his restraints. Then he calmly tries to throttle her and seems to enjoy doing so. Which rather begs the question: what would Gan without the limiter? The impression given here is that he's a cold, calculating killer who is only kept in check by the limiter which acts to keep him docile. 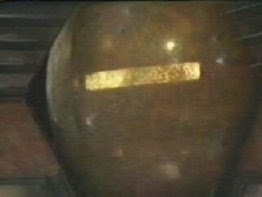 At the end of the episode, Gan is operated on by Kayn and the limiter is repaired. Gan is disappointed that the they were unable to remove the limiter completely. Cally: Plays nursemaid to Gan whilst he is in the medical bay. She dislikes the idea of him being restrained whilst he is unwell and is therefore easily manipulated by Gan into releasing him. She is then attacked by Gan and almost throttles her. Unsurprisingly she seems less bothered when he's restrained again, following that incident. Zen: Refuses to go into the Forbidden Zone of space as it would be tantamount to asking him to self destruct. He shuts himself and all other main computer systems down, leaving the crew to fend for themselves. Once they are out of the zone, he switches himself back on. There is another reference to the fact that Zen has been programmed by person or persons unknown. Avon says that one day he will find out who that person is. This episode is perhaps the very definition of be careful for what you wish for. 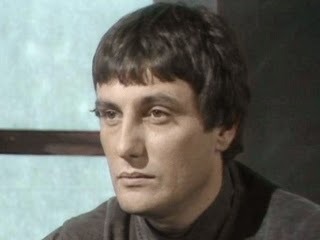 Apparently this episode came about because David Jackson, who played Gan, felt that his character was being under-used and had asked for more to do. What he got was an episode centred around Gan. The downside Gan is either unconscious or rampaging around the ship trying to throttle people. 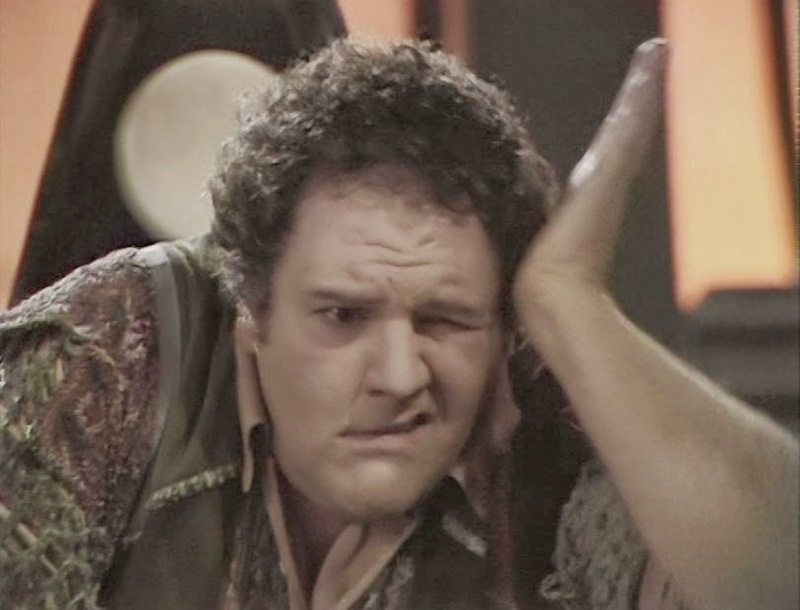 It's hardly stretching for the actor and, in fact, Gan has less dialogue in this episode than in any other episode to date. Although David Jackson probably wasn't enthralled when he got the script for this, I actually think this is one of the better episodes of the season. It does raise (perhaps unintentionally) one or two questions about Gan's true nature, something that I've addressed elsewhere in this post. But this is also a very strong story for the rest of the crew. Up until about the 30 minute mark we don't meet any other characters besides the crew thereby giving them all a decent amount of screen time as they try to help their friend. It's quite refreshing to see Blake show some weakness as he admits that he doesn't know what he can do to save Gan. This is also an important episode for Avon. 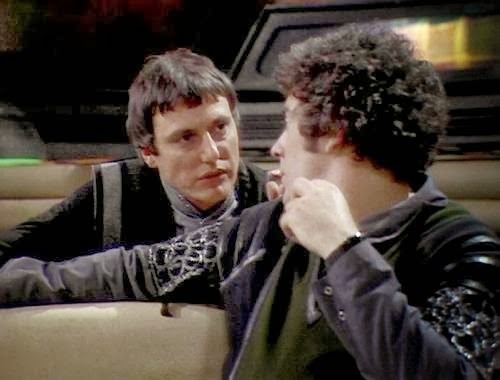 Throughout the series it's been clear that he doesn't have the same loyalty or commitment to Blake's cause that the others do. So it's not surprising to the viewers that he might be considering leaving the crew. The fact that he doesn't run out on the others is probably not that surprising but it's another indication that he cares more for his fellow crew mates than he lets on. I should also mention the performance of Julian Glover as the somewhat unhinged 'genius' Professor Kayn. Although his screen time is somewhat limited, Glover manages to transform the character from cool, calm professional to murderous nutter without making it look contrived. 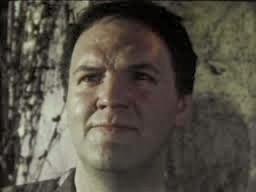 It's almost a shame that he gets blown up at the end as I would have liked to have seen more of him. Other than the under use of Gan, my only really complaint with the episode is the 'feeble joke, everyone laughs' ending that you used to see a lot on US TV series at the time this episode was broadcast. It really doesn't work, considering that the crew have just watched a space station of mostly innocent people get blown to pieces and the 'joke' is pathetically feeble anyway. Next week is an episode that always makes me think of chocolate: join me for 'Bounty'.